Dr Mark Sweetnam, a professor at Trinity College, Dublin, has published widely on a range of topics, including articles on Donne, Shakespeare, Alexander Montgomerie, early-modern preaching and millennialism. Four of his books will be of particular interest to Webtruth readers. 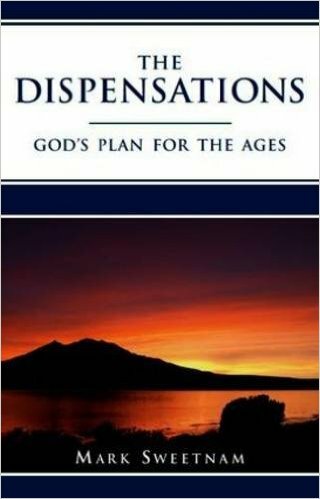 In The Dispensations – God’s Plan for the Ages (9781909789005) Dr Sweetnam explains that the course of Biblical history, from Eden to the future Millennial Kingdom, has been purposely divided by God into defined periods or ages, to each of which God has allotted distinctive administrative principles. Each of these seven dispensations is marked by a cycle. Firstly, God reveals His truth to humanity in a new way. Secondly, humanity is held responsible to conform to that revelation. Thirdly, humanity rebels against God and fails to live up to the revelation given. Fourthly, having failed the test, humanity is judged by God. 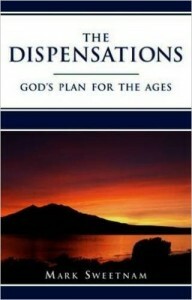 Each dispensation ends in failure, before giving way to a new administration in God’s purpose. The ultimate end of this series of dispensations is described in Ephesians 1:9-10, where God has “made known to us the mystery of His will, according to His kind intention which He purposed in Christ, with a view to an administration suitable to the fullness of the times [the Millennial Kingdom], that is, the summing up of all things in Christ.” In our opinion, this 253 page work by Mark Sweetnam is the best book on dispensationalism currently available. 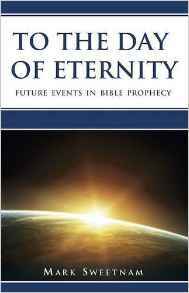 In To The Day Of Eternity (9781909789203) Dr Sweetnam provides a clear and concise outline of the whole field of eschatology (future events). 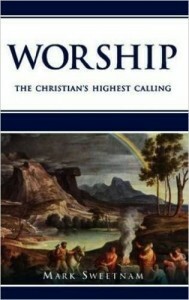 His opening chapter, “Why Prophecy Matters”, opens up into 154 pages of teaching that takes in Daniel’s 70 weeks, the rapture, the “marriage of the Lamb”, the tribulation, the battle of Armageddon, the “return of the King”, the Millennial kingdom, the judgments of the last days and the eternal state. This work will greatly aid the reader in getting to grips with an overall view of prophetic events and how the revelation of them in Scripture, often accompanied by figurative language, should be accurately and correctly interpreted. Dr Sweetnam takes a pre-tribulational, pre-millennial view of eschatology and gives considerable air-time to the issue of the Millennium (its certainty, character, citizens, conditions and conclusion). This will make a worthy addition to the library of all serious student of Bible prophecy. 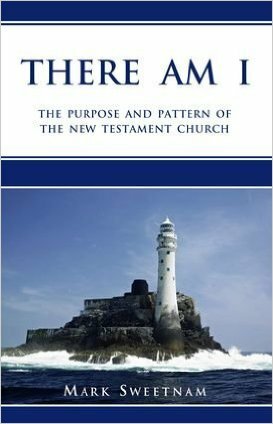 In There Am I (9781909789302) Dr Sweetnam give 99 pages of enlightening teaching and guidance concerning “the purpose and pattern of the New Testament Church”. 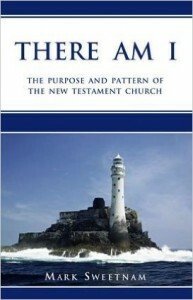 The author defines what a New Testament assembly is and the reasons why it exists. 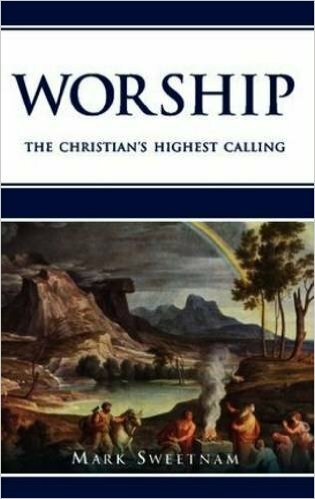 He then takes up a series of subjects over a total of 14 chapters, including “the Lord’s Supper”, “Headship”, “Spiritual Gifts” and “Rule and Government”. This work features contextual examinations of the key passages of Scripture relating to the purpose, precepts and practices of local assemblies gathered to the name of the Lord Jesus Christ (Matthew 18:20, Acts 2:42 etc.). The New Testament pattern for the local church is surprisingly simple, as well as fundamentally different to that which pertains in the major denominations of Christendom in the 21st century. There Am I is a call to the serious reader to go back to first principles and examine what the New Testament has to say about “gathering principles” for the baptised believer in Christ. This book is full of practical Biblical advice and counsel and makes a great gift for anyone interested in the mind of the Lord for local church testimony today. We heartily commend Dr Mark Sweetnam’s books to all our readers. If Christ Died for All, How Can Anyone Perish?